The world’s invasive species list seems to be growing every year. 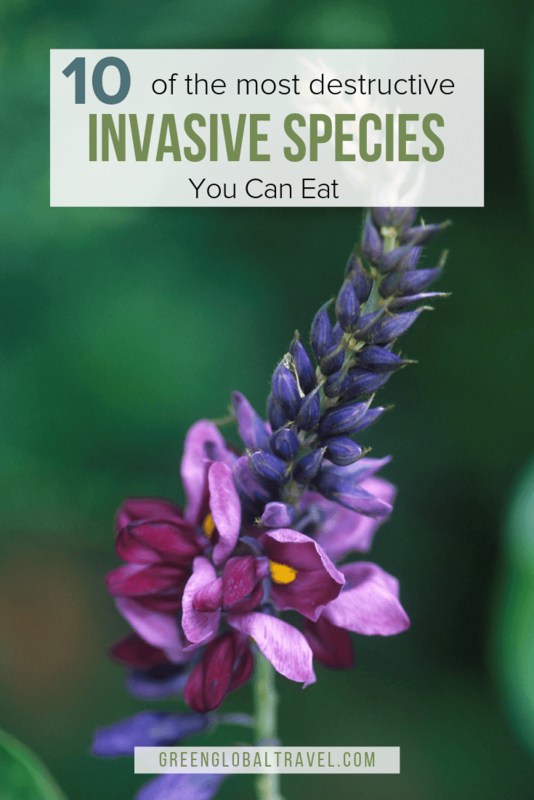 From plants such as Dandelions and Kudzu to animals such as Lionfish and Nutria, many of these invasive species are harmful to the ecosystems to which they’ve been introduced. It’s a well-known fact that our diets can have a serious impact on the environment, for better or worse. The raising of livestock contributes about 18% of all human generated greenhouse gases. And the pesticides used to protect our produce from bugs and weeds do terrible things to the Earth. But there are also many ways to adjust our diets to be more eco-friendly. Eating less meat is a big one that’s becoming increasingly popular. Eating invasive species is also a great way to consume meat (or plants) while doing something positive for the environment. 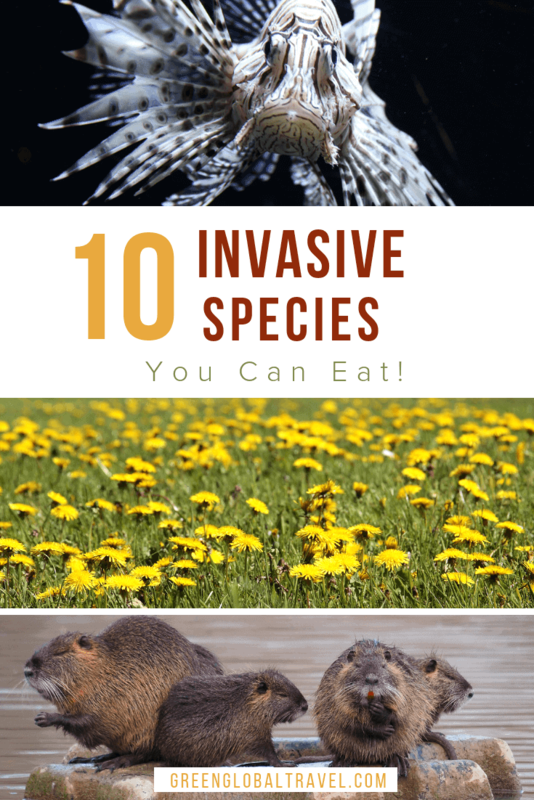 Check out our list of 10 invasive species you can eat, helping to protect the planet in the process! Blue Crabs, Rock Crabs, and Lobsters are all crustaceans that are native the Northeastern coast of the United States. 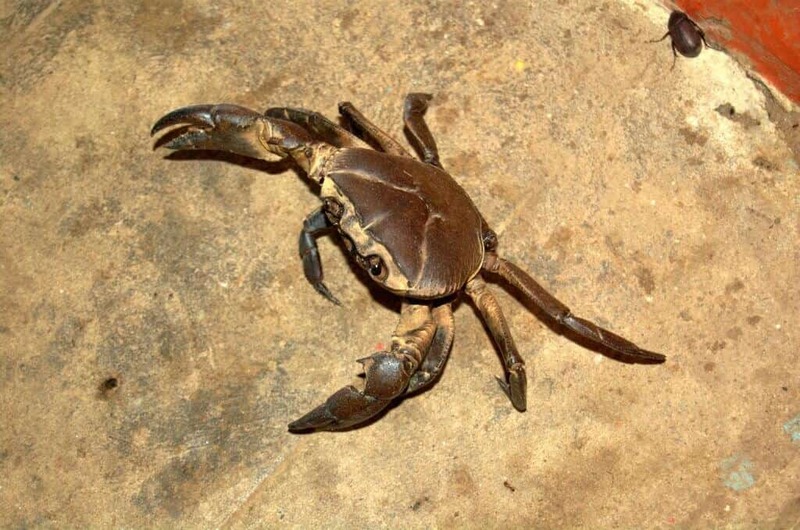 The Asian Shore Crab is not. But they’ve arrived, and they’re threatening the populations of their native cousins. Asian Shore Crabs are resilient and they’re breeding in rapid numbers— thriving from North Carolina up to Maine— which makes them threatening to local ecosystems. These little invaders also happen to be bite-sized, making them the perfect shellfish snack. You can actually fry them up like popcorn. Just heat up some olive oil in a large skillet and submerge the Asian Shore Crabs until they turn a beautiful, bright orange. New Haven, Connecticut sushi restaurant Miya’s does just that, serving these crabs as a crunchy appetizer. 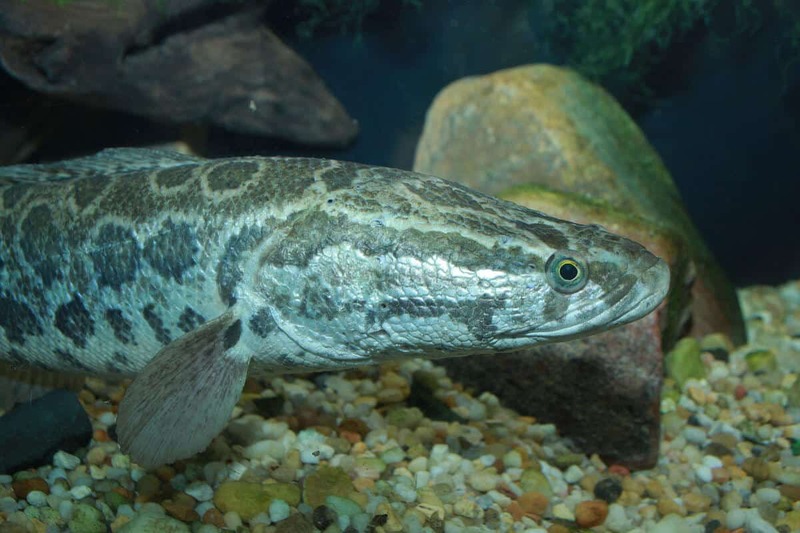 The Snakehead Fish is native to Asia and Africa, but they’ve been appearing in the waterways of Maryland and Florida for over a decade now. The long, eel-like fish is big enough to hunt fish like Bass and Perch. Whenever and wherever they appear, they run the show. In 2011, the Oyster Recovery Partnership hosted a fundraiser in which nine well-known chefs competed in cooking up snakeheads and serving their filets on dressed-up platters. Snakeheads are not unusual to consume. They’re often eaten in Thailand and Vietnam, among other places. But they’re still not a common menu item in the U.S., despite efforts to encourage fishermen to catch and market them as food. It’s an ugly fish, but it actually tastes much better than it looks! Also known as “giant cannibal shrimp,” the Asian Tiger Shrimp is native to Asian and Australian waters, where they can grow up to 13 inches long. 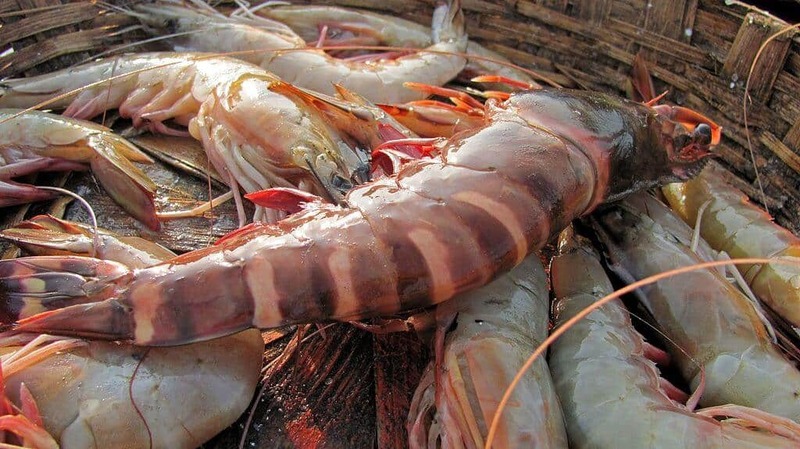 Asian Tiger Shrimp were introduced to the United States when 2,000 of them were accidentally released from an aquaculture facility in South Carolina. If you like eating their smaller relatives, you’ll likely love these massive versions, which are considerably meatier. These little mammals look like a cross between a beaver and a rat, a fact some people don’t find very appetizing. But Nutria, which come from South America, can be delicious. 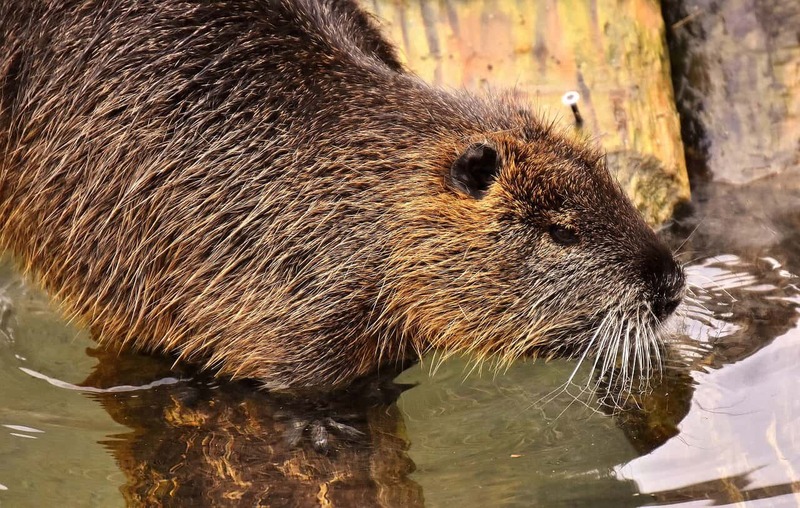 Nutria have been eroding the Louisiana coastline ever since they arrived in the 1930s, thanks to fur farms that raised them for their silky pelts. Today, the market for their fur has nearly vanished. But still the Nutria remain, gnawing away at the state’s marshes and damaging the local ecosystem. Chef Phillipe Parola has made a career out of cooking up invasive species, including the hairless-tailed, orange-toothed Nutria. His recommendation for distracting your mind with flavor? “Take the hind saddle, bone-in, and put a honey mustard dressing on it with brown sugar, then put it on a barbecue pit,” he advised in an article for Modern Farmer. More Nutria recipes can be found here. Lionfish are beautiful, exotic-looking creatures. Anyone who has gone Scuba diving in recent years has likely marveled at their striking maroon and white stripes and long, spiny fins. Unfortunately, they also boast hearty appetites that have severely harmed fish populations all across the Atlantic. Not to mention the fact that their prickly spines produces painful toxins. 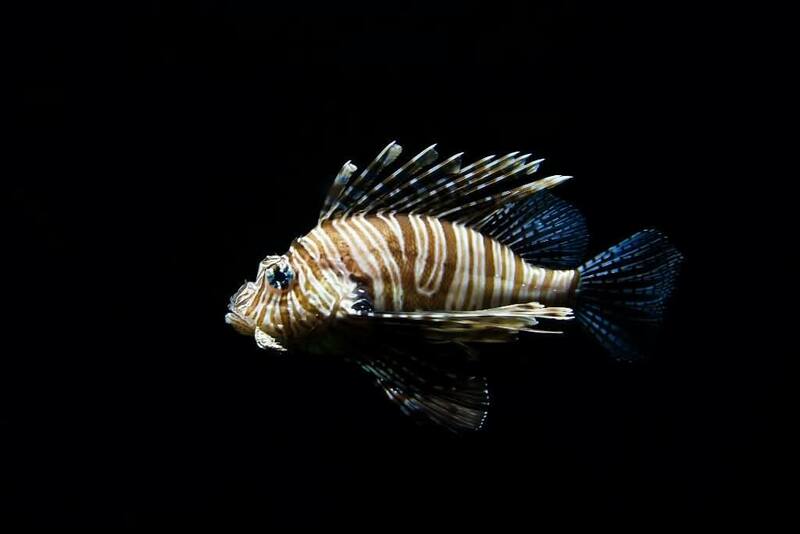 The Lionfish might look pretty, but things turn ugly when they’re found where they don’t belong. Humans with hearty appetites will appreciate the fact that Lionfish are high in Omega 3 fatty acids (which help lower the risk of heart disease) and low in saturated fat. The flaky white fish is similar to Halibut. One of the more popular methods for serving Lionfish is in ceviche, fried, or raw. Wild Boars have roamed North America ever since Spanish explorers brought them over in the 1500s as domesticated animals. Many of those original Boars broke free and ultimately became the feral, ferocious, furry pigs we know today. 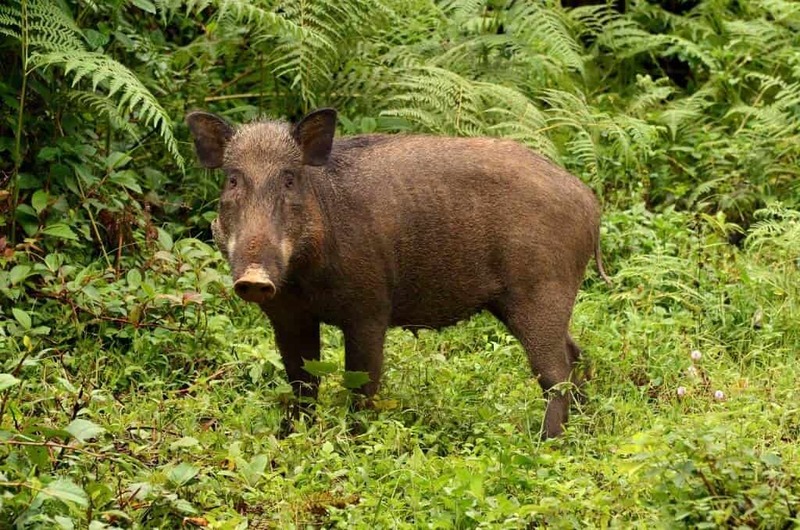 Not only are Wild Boars harmful to the crops they devour, but they’re also dangerous to humans. Wild Boars are known to be aggressive and charge at people, and they can do serious damage with their sharp tusks and teeth. In terms of flavor, Wild Boar is considerably leaner and gamier than the pork we’re used to. Chef Brandon Kida of Hinoki & The Bird in Los Angeles suggests eating it with szechuan peppercorn and fish sauce, as he does with his popular dish. 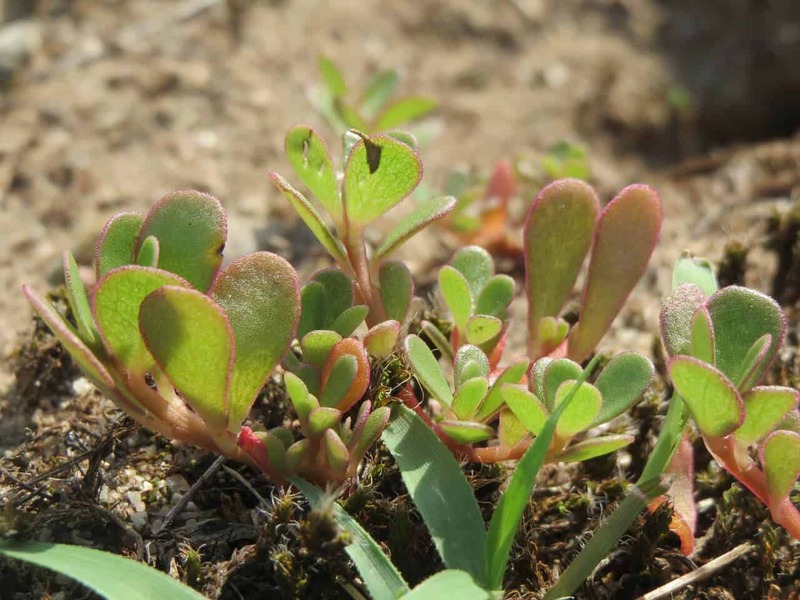 Despite the enduring popularity of decorative succulents, Purslane is actually a weed that appears on North America’s invasive species list. This is the stuff that pops up in between rocks and sidewalk cracks, and then spreads like crazy. It’s abundant in yards all across the country, and many frustrated gardeners don’t realize that it’s edible. The peppery flavor of Purslane is similar to arugula, and is great for adding to salads. It also happens to be a “superfood” that’s high in heart-healthy Omega-3 fatty acids and beta carotene. 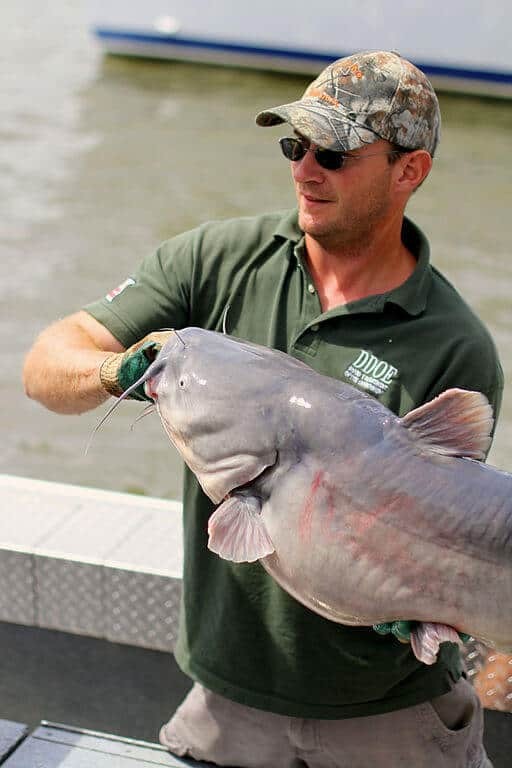 The Blue Catfish has become pervasive in the Chesapeake Bay. There they’ve expanded into every major tributary, eating many native fish along the way. Their tolerance for varying habitats is extremely high. So, despite being freshwater fish, they can handle and even thrive in brackish or salty waters as well. In 2015, the Blue Catfish was awarded the green seafood recommendation. That means if you’re trying to decide on a fish to purchase at the supermarket, the most eco-friendly decision is probably the Chesapeake Bay Blue Catfish. The fish is also cheap and plentiful, so eat up! If you have a yard with grass, you’re probably not a big fan of Dandelions. This invasive species pops up pretty much everywhere, and they spread like… well, the weeds they are. Despite their attractive yellow color, these seemingly innocent flowers can be a real nuisance. Fortunately, they’re also a readily available food source that you can feel good about eating. Conveniently, the entire plant–flower, leaves, and root– is edible! Dandelions are packed with vitamins, minerals, and antioxidants. One cup of raw Dandelion greens provides 112% of your daily Vitamin A and 535% of your daily Vitamin K needs. 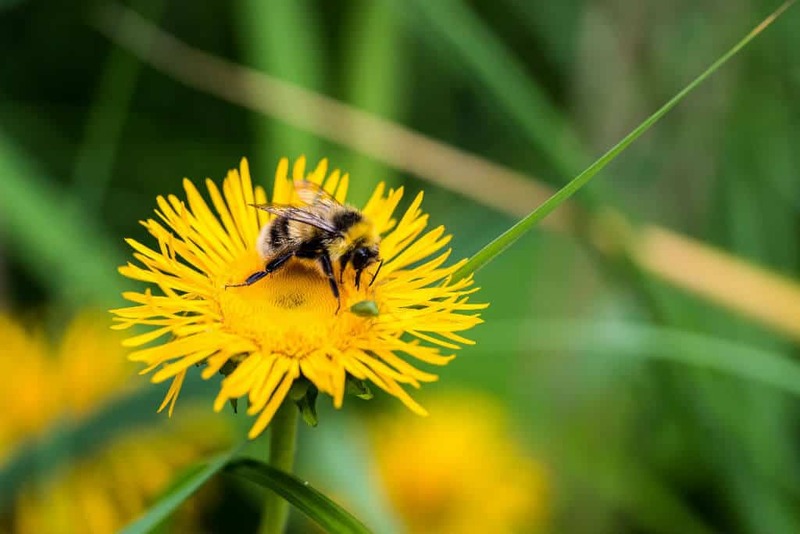 Dandelion tea is also used in homeopathic medicine for the treatment of muscle aches, constipation, upset stomach, intestinal gas, gallstones, joint pain, eczema, bruises, and more. 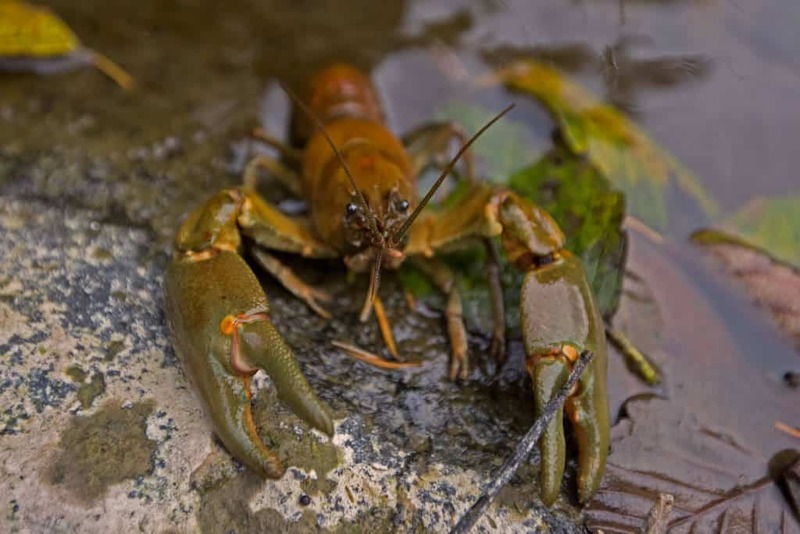 The Rusty Crayfish is native to the Ohio River basin. But it has also made its way to Minnesota, Wisconsin, Michigan, and many other states, where it’s wreaking havoc on local ecosystems. They’re typically harvested for use as fishing bait, and likely spread by that usage as well. Crayfish (also known in the south as Crawdads) look like a little Lobster. And they taste similar, too! They’re also significantly cheaper, and you’ll be doing the environment a favor when you eat the Rusty Crayfish.